Dressed in baggy camouflage pants and smoking a cigar, Michael Mosher Jr. didn’t look like a cyclist. But gathered outside Jack’s or Better tavern on Route 316 Thursday with about 20 cyclists who wore spandex pants and brightly colored windbreakers, Mosher was eager to go on a six-mile tour of the city. “I’m new to the area, and it’s helping me get to know the area and the people,” he said. Mosher was taking part in the 12th annual Bicyclists Bring Business roundtable and bike-around event organized by Parks & Trails New York and the New York State Canal Corporation, which teaches cities how to market to and profit from cycling tourists. He learned about the event from his friend Paul Guerrant. 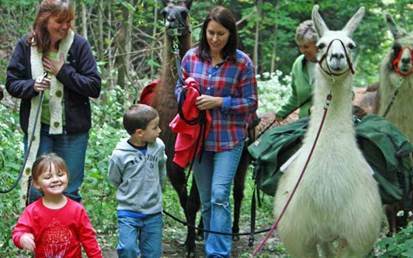 “He’s new, so I’m bringing him along,” the 11-year Oneida resident said. A frequent user of the Erie Canalway Trail, Guerrant said he was interested to learn more about the city’s network of rail trails at the previous day’s roundtable discussion, he said. Working with Madison County planners, the Oneida Rail Trail committee has applied for a $700,000 state Transportation Enhancement Program grant to fund an about 3-mile stone-dust surface trail starting at the Canalway Trail head in Wampsville and ending just shy of downtown Oneida, said Joe Magliocca, committee president. That’s part of the committee’s larger goal to connect as much of the city’s 11 miles of rail trails as possible while highlighting Oneida’s rich railroad history. “Bicycling tourists are always looking for a destination outside the trail, an interesting community with either historic sites or unique downtowns, not just for places to eat or to stock up on drinks,” Magliocca said. 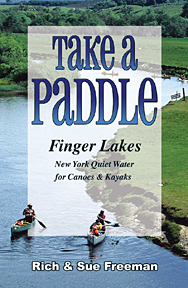 The CNY Kayakers is a club that brings people together to enhance the pleasure of flat water kayaking. They provide opportunities for all levels of experience, from novice to expert, to share, to learn and to have fun, while navigating the many waterways of Central New York. New this year are Wednesday morning paddles. Click here to learn more.